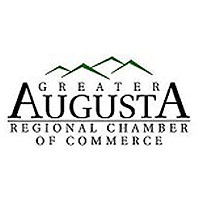 High school seniors have many options once they graduate, and the Greater Augusta Regional Chamber of Commerce Foundation has the opportunity to help. In the last 10 years, the Foundation, through the generous contributions of member businesses and community leaders, has awarded $172,000 in scholarships to our local students to help them achieve the first step on their career path. Each year, the Foundation recognizes academic achievers with $1,000 scholarships. These can be used for vocational or technical school, credentialing programs, or a two or four-year college. Students selected for the scholarships will be honored during a reception at the Plecker Workforce Center on the campus of Blue Ridge Community College on May 6. Students may contact their guidance counselor for further information and application. Completed application and supporting documents must be submitted to the school guidance counselor by 5:00 pm on Monday, April 1.